SIX up-and-coming boxers from the North West will get the chance to experience competing in a big fight atmosphere when the British Lionhearts take on Italia Thunder in the World Series of Boxing (WSB) at The Auditorium, Echo Arena Liverpool on Friday 2nd March 2018. 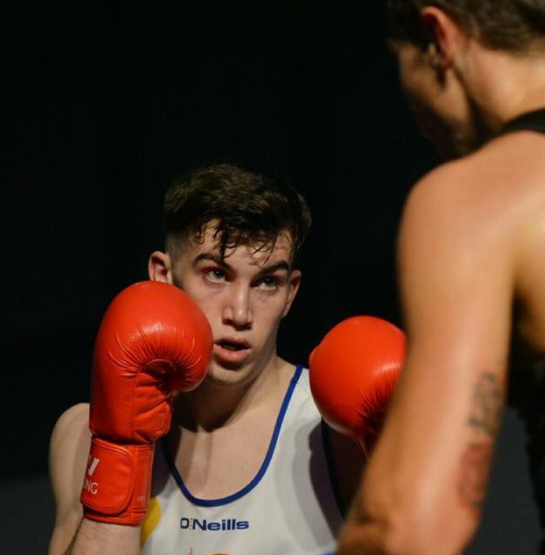 As part of the show, the Lionhearts have agreed to stage an undercard, before the five bout WSB match, featuring three amateur contests between young boxers from the North West. Matt Holt, Chief Executive of GB Boxing, which oversees the British Lionhearts team, explained: “At every British Lionhearts match we do something to support the local boxing community and in this instance we thought it was a good opportunity to give some up-and-coming boxers from the region the chance to box in a large arena and get a sense of what it is like to be part of a big boxing show. The undercard bouts will start at 18:45 on Friday 2nd March and the WSB match will begin at 20:00. The British Lionhearts team includes local favourite and reigning European Champion, Peter McGrail (bantamweight), and three fellow members of the GB Boxing Olympic programme including, Rio Olympian, Galal Yafai (light-flyweight), 2017 European Championship silver medallist, Luke McCormack (light-welterweight), and rising star, Ben Whittaker (middleweight). Overseas selection, Radoslav Pantaleev (heavyweight), of Bulgaria completes the line-up. Tickets are still available for the match, priced £20, at www.echoarena.com and www.gboxing.org.uk/tickets. WSB is a team boxing competition. It bridges the gap between Olympic and professional boxing and is contested by the world’s leading amateur boxers who compete without vests or headguards over five three-minute rounds. WSB matches are made-up of five bouts and the team which wins three or more is the winner. More details on the British Lionhearts are available at http://www.gbboxing.org.uk/world-series-boxing/ and by following the team on twitter at @Brit_Lionhearts.